It’s a Toss Up! Hats off to her. She has completed the first step toward success! 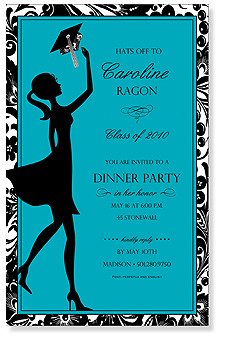 This beautifully stylized aqua colored graduation invitation embodies the happy graduate in silhouette. 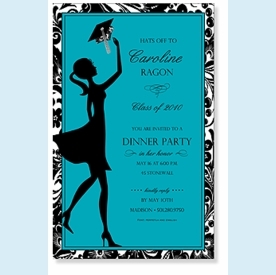 Perfect for a graduation party invitation or graduation announcement. Only 4 sets left! SIZE DIMENSIONS: 5-3/4" x 9-1/8"